How does the IRS perceive income from a lawsuit settlement? Are Lawsuit Settlements Taxable Income? When the attorneys at TheLawFirm.com settle a case, or receive a favorable verdict from a jury, our clients often ask us if the money they receive as part of the settlement or verdict counts as taxable income under IRS regulations. 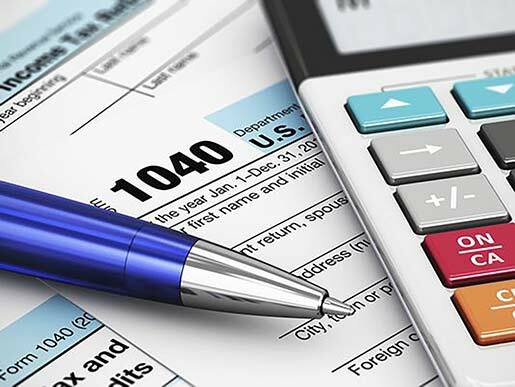 While the rules regarding the taxability of monetary awards and settlements—like most areas of taxation—are nuanced and somewhat complicated, the simple answer is that the IRS does not consider monetary awards stemming from personal injury claims to be taxable income, so long as the money is not compensation for medical costs or other expenses previously reported as tax deductions. As always, please consider this general advice. One should consult with his or her own tax attorney or CPA for advice as to the tax ramifications of a particular situation. There are exceptions to almost every legal and tax-related rule. Furthermore, we are not and familiar with your personal finances or legal situation and therefore cannot offer specific advice. Additionally, the information provided here applies only to federal IRS guidelines in the United States. Your individual state or country likely has its own rules and regulations applicable to these situations. Therefore, if you expect to receive a monetary settlement or verdict, TheLawFirm.com recommends consulting with your own financial advisor, tax attorney or CPA before receiving the funds in order to plan appropriately for the associated tax burden, if any. When Is A Settlement Or Judgment Taxable? In other words, if “the item the settlement replaces” would itself be subject to taxation (for example, lost wages), then the portion of the settlement allocated to that item also is taxed. On the other hand, if “the item the settlement replaces” is not subject to taxation (i.e., medical expenses), then that portion of the settlement is not taxed. Applying the same principal, payments received as compensatory damages for physical injury or physical illness are not considered taxable income by the IRS. This applies whether such compensation is received in one lump sum payment or via an installment plan. In theory at least, this is because compensatory damages, as their name suggests, are intended, to the extent possible, to compensate one for his or her physical losses through economic reimbursement. This explains why compensatory damages are not taxed as income while punitive damages, which are intended to punish to the liable party and disincentivize those who would engage in similar conduct, are. The old adage that the answer to any legal question is, “It depends” certainly holds true in tax law, and the question of whether monetary awards related to emotional distress and/or mental anguish count as taxable income is no exception. Such payments do not count as taxable income IF they stem from underlying physical injury or illness. However, in a separate publication, the IRS clarifies that “[i]f the proceeds you receive for emotional distress or mental anguish do not originate from a personal physical injury or physical sickness, you must include them in your income,” but you may deduct medical expenses related to the emotional distress or mental anguish to the extent one has not previously received a tax benefit from such expenses. As the IRS suggests, when considering whether a particular allocation within a settlement or judgment is subject to income taxation, think of “the item the settlement replaces.” If that item is itself taxed, then it is likely that portion of the settlement or judgment is subject to taxation as well. Legal Disclaimer: Please consider this general advice. One should consult with his or her own tax attorney or CPA for advice as to the tax ramifications of a particular situation. There are exceptions to almost every legal and tax-related rule. Furthermore, we are not familiar with your personal finances or legal situation and therefore cannot offer specific advice. Additionally, the information provided here applies only to federal IRS guidelines in the United States. Your individual state or country likely has its own rules and regulations applicable to these situations. Therefore, if you expect to receive a monetary settlement or verdict, TheLawFirm.com recommends consulting with your own financial advisor, tax attorney or CPA before receiving the funds in order to plan appropriately for the associated tax burden, if any.